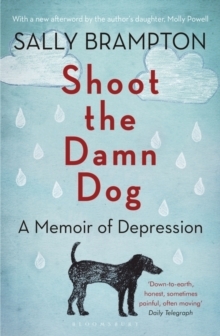 All who know the pain of depression will find the book immensely useful, and so will their friends and relations' Sunday TimesShoot the Damn Dog blasts the stigma of depression as a character flaw and confronts the illness Winston Churchill called `the black dog', a condition that humiliates, punishes and isolates its sufferers. It is a personal account of a journey through severe depression as well as being a practical book, suggesting ideas about what might help. With its raw, understated eloquence, it will speak volumes to anyone whose life has been haunted by depression, as well as offering help and understanding to those whose loved ones suffer from this difficult illness. This updated edition includes a beautiful and moving afterword by Sally Brampton's daughter, Molly Powell, following her mother's death in 2016.